Date: Sep 21 2018, 7 p.m. - 11 p.m.
Join Adventure Programs on a trip to TopGolf in Austin, TX! Transportation provided! 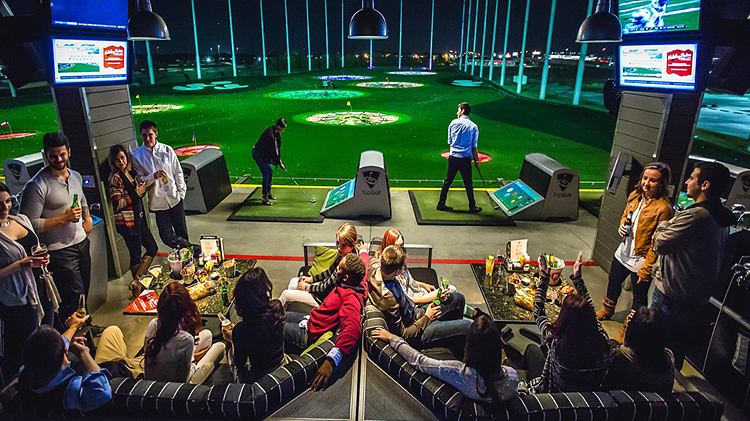 TopGolf is one of the newest trends in the golf industry. Whether you are an experienced golfer or never touched a club, TopGolf offers something for everyone. In fact most participants at TopGolf have never played before! Earn points by hitting for distance or hit one of the illuminated targets out on the playing field. Waiting on your turn? Sit back and relax as you enjoy one of the state of the art bays where you can watch the latest sporting events and order food and drinks right to you.